KFB is a well-known local institution with a strong and loyal following. KFB came to us for a comprehensive newsletter redesign with a goal to freshen their image and appeal to a younger, more contemporary clientele. They selected the most untraditional approach from several strategic options provided. 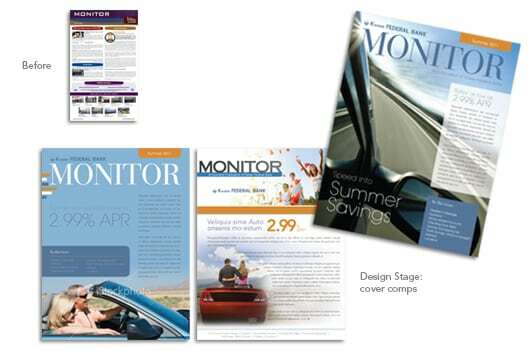 The redesigned cover artwork naturally invites readers inside and the newsletter’s seasonal theme dictates the editorial content. We write many of the articles. 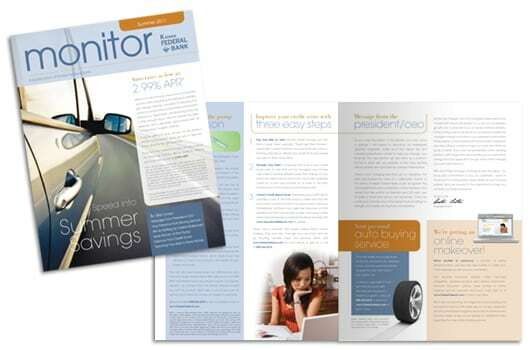 Acceptance of the newsletter among current customers has been high and sales of products featured are above average.